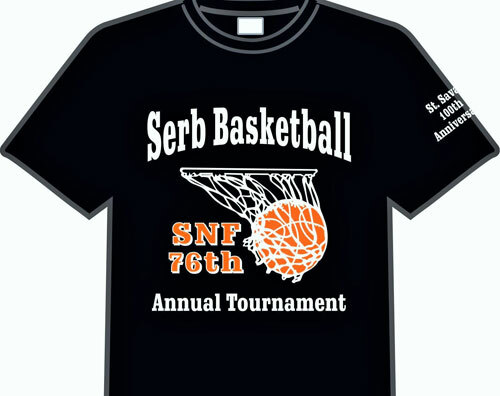 [fusion_text]Celebrate and show your spirit for the 76th Annual SNF Basketball Tournament with special edition t-shirts and hats. T-shirts and hats will be available Friday and Saturday evening and all day Sunday. Anyone wishing to purchase in advance should contact the Church Office at 219-736-9191. The t-shirts and hats will be available as you enter the main entrance to the Pavilion next to the Admission Fee and Food & Drink Ticket Sales tables. The t-shirts and hats are available only in black. Sizes vary from youth to XXXL with limited availability in each size. T-shirts and hats will be available for sale as long as supplies last.